BREMERTON, Wash. � The U.S. Navy isn't keeping close track of how many days service members assigned to ships and boats are spending at sea, according to records recently obtained. For the past five years, a number of Naval Base Kitsap-based submarines have either underreported or failed to report the number of days assigned personnel have spent at sea, it was reported. Analysis of the data, which is current up to April 30, 2018, revealed the number of reported events for crews assigned to Bangor's submarines did not accurately reflect the number of days those units were deployed within the past five years. The submarine command's incomplete data reporting isn't an isolated problem. It appears to be a widespread issue across the Department of Defense, according to a Government Accountability Office report published in April. An estimated 145,000 service members across all branches of the service are missing records for deployments between fiscal years 2014 to 2016, according to the report. The report found unclear policies and a lack of a reporting enforcement system have resulted in the collection of unreliable data department-wide, which in turn inhibits the Department of Defense's ability to effectively monitor personnel tempo and determine how the current high pace of military operations is affecting the service members. All commands and units are required to track the number of days personnel spend at sea, without exception, according to Department of the Navy and Department of Defense policies, as required by Congress. However, no enforcement mechanism appears to exist to compel commands to report their data to comply with the requirement. While all submarine commands are responsible for submitting their unit's data, limited network access while at sea can result in delayed reporting because the data is filed via a web-based application, Submarine Group Nine spokesman Lt. Cmdr. Michael Smith said. "Nonetheless, we're looking at local policies to verify submission and ensure required personnel tempo reporting data is timely and accurate," Smith said. Submarine Group Nine oversees all ballistic missile and guided missile submarines in the Pacific Northwest. 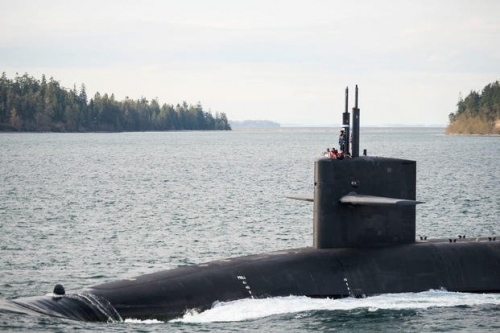 It serves as the home port for a total of 10 Ohio-class submarines in the U.S. Navy fleet. Despite the delay and gaps in reported data for the command's submarines, Navy Personnel Command has not contacted Submarine Group Nine for updated reports, Smith said. � Copyright 2018 The Associated Press.